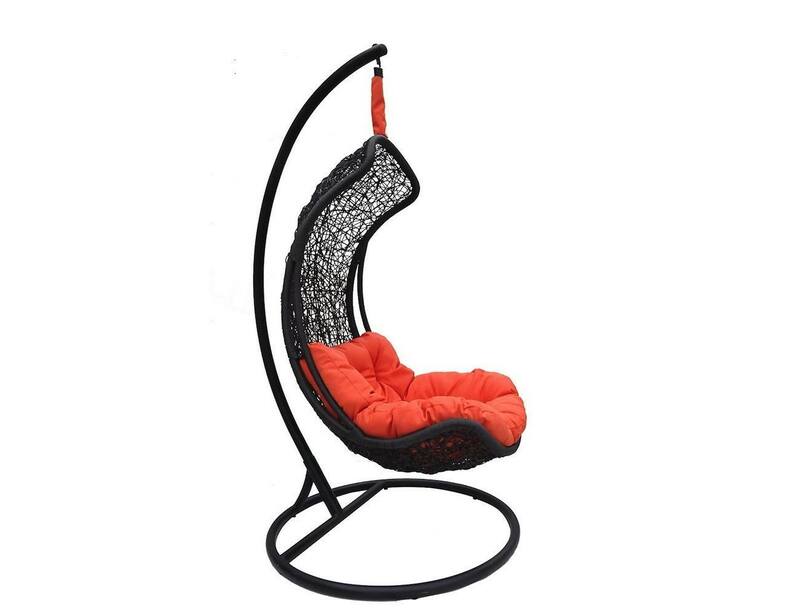 Take a load off after a busy day with the Clove Balanced Porch Swinging Chair. 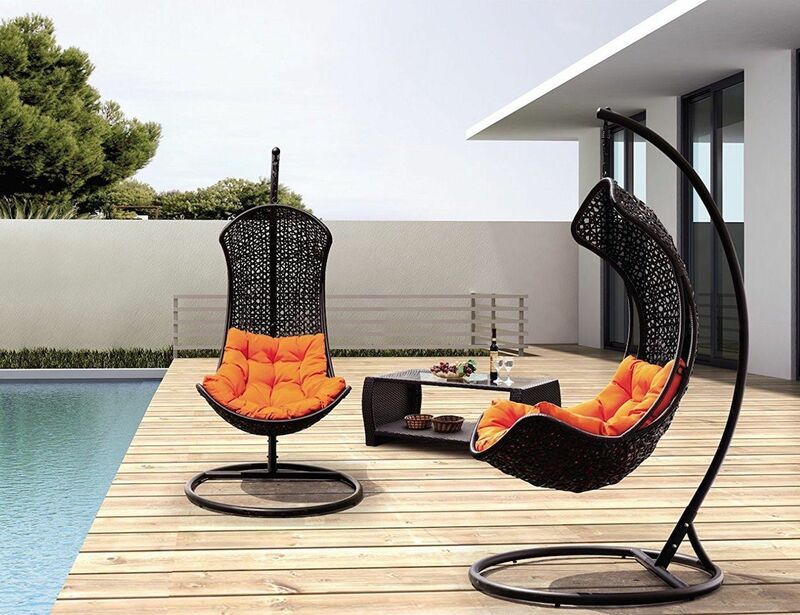 Allowing you to hang effortlessly while your feet dangle, this chair is the ultimate spot for relaxation. 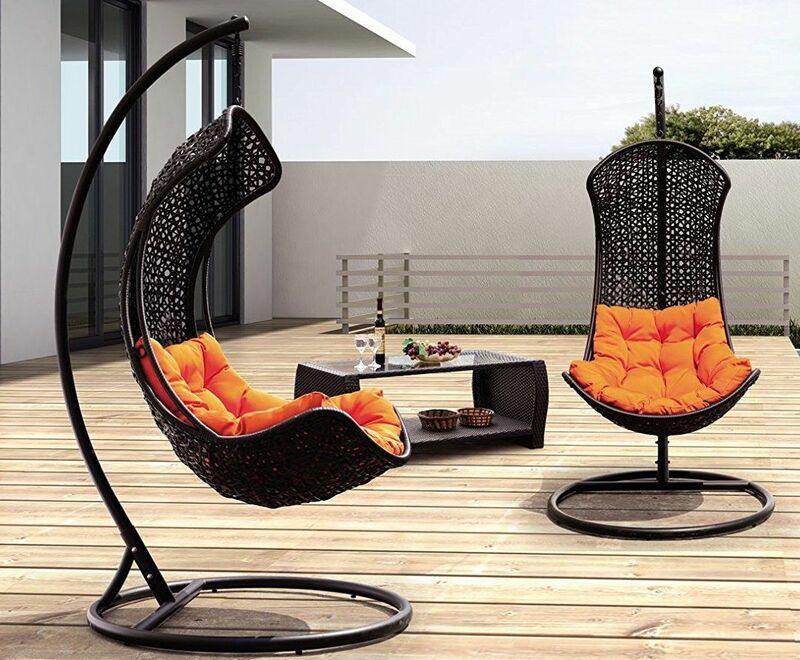 Coming with a beautiful synthetic wicker and rattan weaving in a stunning matte black, the Clove Swinging Chair is a delightful addition to any outdoors space. 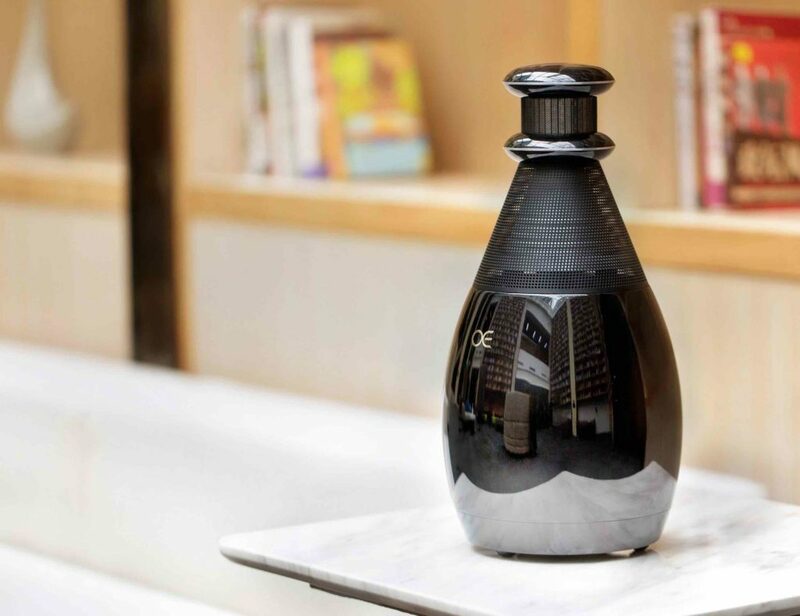 Complete with a heavy-duty spring, the chair gives you a sense of floating as it suspends you from the top and off the ground. 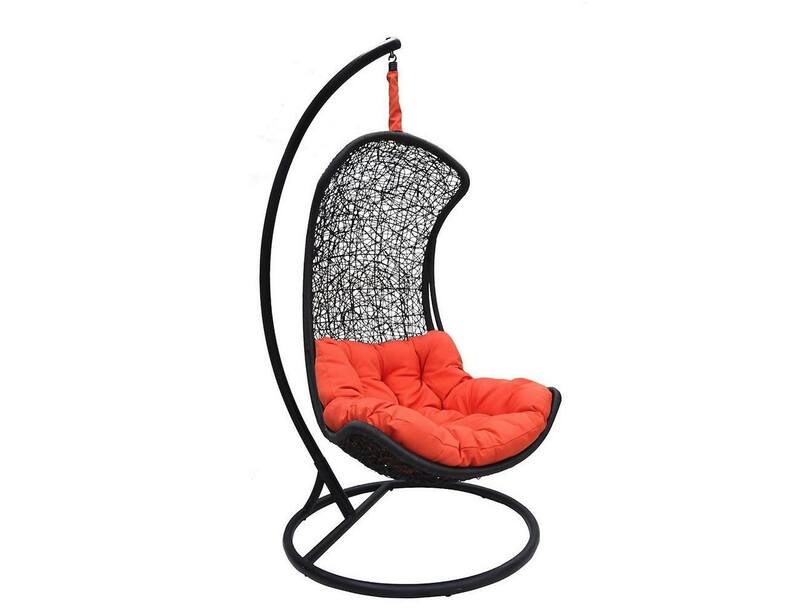 Coming with an ultra soft cushion, you could spend hours in the Clove Swinging Chair from your morning coffee to your afternoon book in the sun. 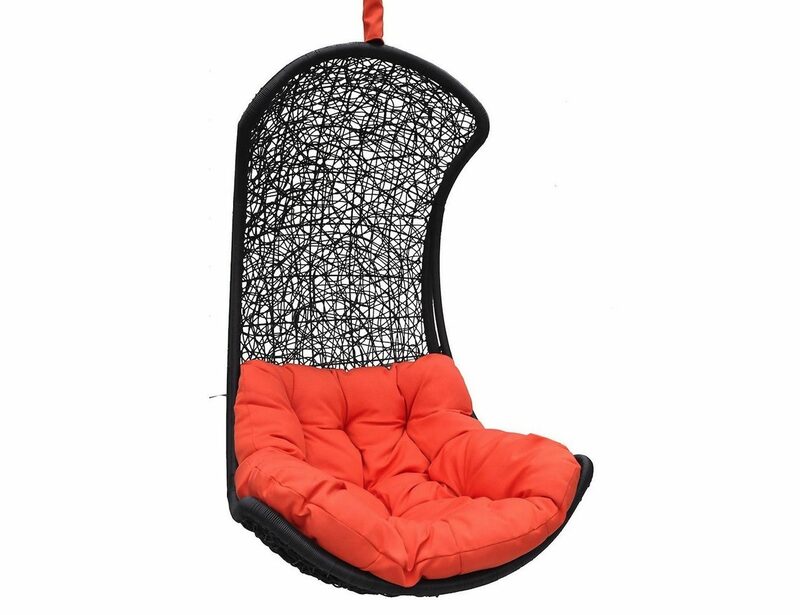 The bright orange cushion is easy on the eyes as well as your body as the chair cradles you in place.